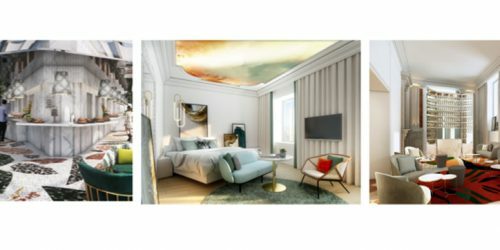 Following an intense and comprehensive renovation led by the award-winning designer Martin Hulbert; the five-star Athenaeum Hotel & Residences will unveil 134 new bedrooms, 10 new suites and an exciting new guest destination this month. The Grande Dame of Piccadilly re-emerges reinvigorated by a transformation of all ten floors; including bedrooms and suites, and the decision to transform the hotel’s top real-estate – The Penthouse – into ‘The View’, a members-style club accessible to hotel guests only. The View takes the concept of a ‘high-end’ guest experience quite literally. A constantly evolving space of surprising and inspirational experiences, The View (as the name would suggest) offers one of the most spectacular skyline panoramas in London. 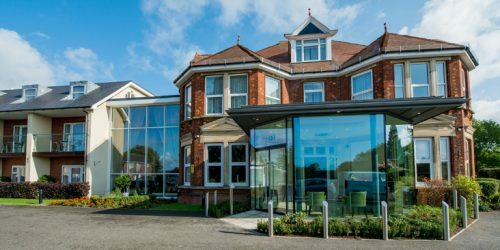 Previously reserved for privileged Penthouse Suite guests, The Athenaeum has opened up the top floor and rededicated it to hotel guests. A private members club – where your membership is your room key – to relax, socialise and connect with London. Inspired by the metaphorical ‘rabbit hole’, The View will allow guests to enter a new space, immersing themselves into a world of unexpected spectacles, all with compliments of the hotel. 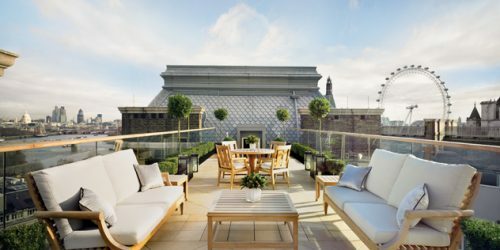 Residents will enjoy surprise masterclasses such as how to mix the perfect G&T, mindfulness sessions overlooking Green Park, or simply be able to enjoy a complimentary tipple and nibbles from Michelin-starred brothers’ restaurant, Galvin whilst overlooking the unique and uninterrupted view of the capital. In true grandiose style, guests at the hotel can consider themselves amongst the likes of Elizabeth Taylor, Christian Bale, Harry Styles, Samuel L Jackson, Natalie Portman and Kim and Kanye, and countless world-leaders. Residents may be surprised to know that it is within the four walls of The Athenaeum that many London legends have been made: Take-That announced their split and Spielberg edited E.T., Close Encounters and Raiders of the Lost Ark from The Athenaeum’s suites and Russell Crowe was famously made to tidy his bedroom. With thanks to the creative vision of Hulbert, for a tailored approach to design, the Athenaeum’s bedrooms are now back and more beautiful than ever, paying a definite nod to its Mayfair heritage, cue its Art Deco loveliness, whilst keeping the contemporary, discerning traveller in mind. Each of the Superior, Deluxe, Park View bedrooms and Suites at the Athenaeum have been adapted and repurposed with the aim of maximising the hotel’s extraordinary aspect across the historic Green Park. Floor to ceiling windows now effortlessly open up the outlook and flood the room with natural light (a rare commodity in central London), whilst clever design, innovative lighting and tailored use of colour has been applied to enhance the interior space. 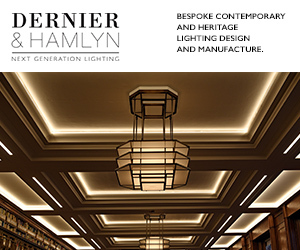 Attention has been paid to every last detail with textiles being carefully sourced, or if required, specially made, from classic Herringbone weaves and linen-lined wardrobes, to silk-clad furniture, plush velvet cushions and bespoke carpets showcasing the very best of British craftsmanship. The newly redesigned Bar is a spectacular hideaway where guests can relax in Kinnersley Kent Design jewel toned chairs whilst sipping on signature cocktails crafted by award-winning barmen. The living wall backdrop in each alcove is a gorgeous feature that encases the stunning space.